Legendary Muhammad Ali Dead at 74!! Legendary world heavyweight boxing champion Muhammad Ali has died at the age of 74 or respiratory complications. Yesterday he was put on life support but it wasn’t enough for the Champ. Muhammad Ali was a legendary hero for several generations including myself. 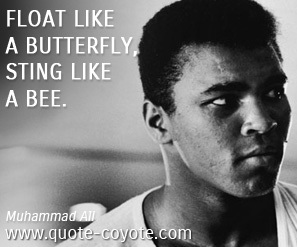 His legendary quote and favorite saying rings through my head, that is, “I float like a butterfly, and sting like a bee.” He made those words famous throughout his amazing boxing career. Ali had other attributes other than boxing. He often stood up for the underdog and was the voice for those who have no voice. For that too he will be remembered. He inspired generations of youth to begin their own boxing careers and he was the hero and role model for many of them. He will not soon be forgotten. Ali was a Muslim much of his life and a funeral will be held today in his hometown of Louisville, Kentucky in accordance with Muslim tradition of burying the dead within 24 hours. As a young man Ali learned to value hard work, how to act with conviction, and how to have compassion at the same time. This was a truly MASCULINE (not macho) man! He was strong yet tender, ruthless in his fights yet compassionate, stubborn at times but wise and intelligent. These are the traits of a truly masculine man and Ali not only displayed them because he lived them every day of his life. In recent times Ali fought what was perhaps his greatest foe Parkinson’s Disease but even then that foe did not stop the Champ from moving on with his life. He often appeared in public and he knew the world loved him no matter what. He also knew that he was the role model, inspiration, and hero for millions and therefore could not hide himself from the public eye. This was a GREAT MAN without a doubt. Ali’s name became a household word in the homes of millions and even billions. Formerly, he was known as Cassius Clay and he often thundered to the thrill of the crowd that he was the greatest. And indeed he was! He also did a little show biz and fit right in. When he stepped on stage the audience most often went wild. Ali began boxing at age 12 after his new bicycle was stolen and he vowed to the police that he’d find who did it a whup ’em. He was only 89 pounds at the time but that inner fire and spirit we often saw in the boxing ring was already burning brightly within him. In 1960 he won the light weight gold medal in the Olympics. Sadly, in those days America was full of racism and blacks still had their own water fountains and restrooms separate from whites. That didn’t stop Ali either! Sadly, after a fight with a white street gang in anger he threw his gold medal into the Ohio River almost having given up on America and his career. Later, however, he said he simply lost the medal. This man was one of the Greats and he will be missed. The fire that burned within his soul even in his last days was amazing. He went from an 89 lbs weakly to the world’s #1 strongman. He broke down barriers socially and racially. He stands in the same league as Dr Martin Luther King and others and I’m sure he’s up there in Paradise with Dr King. One of the last GREAT MEN has passed….let the world mourn…………a resounding YES Ali….you were the GREATEST and still are in the minds of many including my own!! Look at the pain on this face. Do we need anymore? So I’ve been listening to the news over the past couple of days regarding the mourning of church and family members and updates on the killer 20 year old Dylann Roof. It’s all heartbreaking needless to say. My thoughts are with the congregation and family members of Emanuel AME Church in Charleston and I cannot even begin to imagine the pain over the senseless losses they are feeling. What is impressing me about them is their strength of faith. They are demonstrating exactly what Jesus taught. Mercy, forgiveness, and love. That’s is impressive in today’s society and IMO we as a society can learn a lot from the members of Emanuel AME Church. These are fellow human beings who not only believe in something but actually practice their faith and, most importantly, they’ve put their faith into ACTION instead of simply wearing it on their shirtsleeves as many of us do today, sadly. I admire the members and families of the church and to think that they are holding onto their faith and still putting it into action even after Roof senselessly took their loved ones away is nothing short of miraculous in my opinion. My sombrero off to all members and families connected with Emanuel AME Church. Dylann Roof has demonstrated where hate gets one who makes the choice to hate. He’s a prime example of how hate is a destroyer not just of other people but of the hater themselves from the inside out. They say he was trying to start a race war and held many white supremacists views. Really? In this 21st century aren’t we beyond that CRAP yet? This isn’t the 1800s! This is the TWENTY FIRST CENTURY and we as Americans should be beyond the absolute and total IGNORANCE of such hate and of racist views. FACT is we are ALL people no matter what our skin color, sexual orientation, gender, age, religion, politics, or ANYTHING ELSE. NOTHING CHANGES THE FACT THAT WE ARE ALL HUMAN BEINGS PERIOD! It’s time this society connect with that truth and MOVE ON. 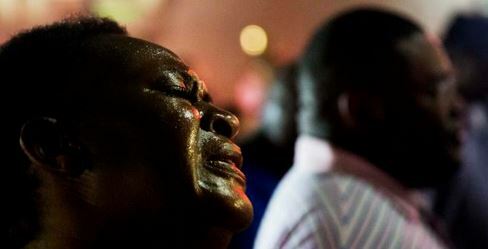 Dylann Roof didn’t realize on that fateful day when he walked into the AME Church in Charleston, sat by the Pastor, and listened to the Prayer Meeting for an hour that he was about to not only cause ruin on those present but bring a heaping pot of ruin on his own self. When he carried out his evil deed he didn’t realize he was not only ending the lives of the churchgoers at AME but he was also ending his own young life. That’s sad when you think about it. Such a young man making such a poor choice for other and for himself. Somewhere along the line of his young life Roof learned to hate. He learned those ignorant tenets of white supremacy. He learned to turn to evil and he learned NOT to value ANY life including his own. That’s very sad in my estimation because at his young age his life had not even really begun when he made some very bad choices. And now he will pay the consequences for those choices as he should. Dr Martin Luther King Jr, one of my heroes, had a dream. 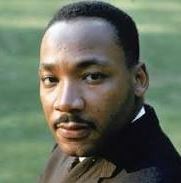 His dream was of a day in which all people of all colors could live together in peace, respect, and love for each other. I was a child when I first heard Dr King talk about this dream but his dream has stuck with me ever since. Why? Because Dr King’s dream is not a dream at all. It is TRUTH and it is a truth that will prevail and manifest into reality in the end and of this I am absolutely certain just as Dr King himself was. It’s a dream that cannot die, cannot be killed, cannot be derailed. Dr King knew that. I know that. You SHOULD know it too. Roof may think that he derailed this dream when he killed those 9 innocent people in Emanuel AME Church last week but he did not. If anything his evil and vile actions made those of us who follow Dr King’s dream even stronger in our conviction! If anything it made us want to work MORE to make that dream a REALITY. Dylann Roof didn’t do anything to derail us from the dream! He only made our determination to make Dr King’s Dream REAL and FASTER!! Whoever the people are who taught the young Dylann Roof to hate ought to be ashamed of themselves. I hope guilt eats them up, frankly. 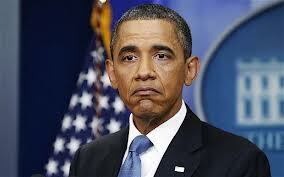 How dare they take a young man and fill him so full of evil hatred! They had no right to do such a thing but, sadly, I’m sure those people have filled many youth with the same hate and still are doing so even today. And this is why they need to be stopped. American society and our American nation do not simply have enemies outside of our borders. We have enemies in our own midst! Frankly, I’ve always considered the enemies in our own midst to be more dangerous than those outside our borders and I think our government officials are coming to the same conclusion, hopefully. These people who promote hate MUST be confronted, dealt with, and STOPPED! And for all of you Constitutional thumping advocates out there who want to scream about the hate-mongers rights? Well their rights end just as soon as they step on someone else’s rights! And that’s exactly what Roof apparently did that day in that Prayer Meeting at the Emanuel AME Church in Charleston, North Carolina when his hate drove him to take the lives of 9 innocents. Sadder than anything at all is I’m sure this is not the last time we will see such evil carried out against innocent people. Dylann Roof is just the latest example of such. In a way, Roof is not the disease but the symptom and we’ve had plenty of these symptoms lately from Sandy Hook to the Colorado Theater to Roof. These young white youth are a symptom of something VERY WRONG in our society in this country today! We MUST identify the CAUSE and we must TREAT THAT CAUSE and not just the symptoms. There is, in fact, something fundamentally and systemically WRONG in American society today and if it is not corrected then it will continue to fester like a dark cancer and eventually it will destroy our society and that fact is not speculation but FACT. America has a lot of work to do and that work begins on Main Street. Our politicians can’t solve the problem. It’s going to take all of us, We The People, of this country to solve it. And we can start right in our own homes but FORBIDDING HATE in all of its vile forms! Life is about choices. We make choices all of the time even if we don’t realize it. We are not mindless robotic creatures. Human beings are creatures with fantastic minds and we are creatures who make choices all of the time be those choices conscious or unconscious, but CHOICES nevertheless. The key to making good choices is to START making more and more CONSCIOUS CHOICES and fewer and fewer unconscious ones. That’s the key to getting our lives off of this insane autopilot so many of us seem to be on today. I still feel for the families and congregation of Emanuel AME who lost their loved ones last week needlessly and senselessly. But some of my thoughts are also with the young Dylann Roof because it’s sad that such a young life is effectively over due to his making of poor choices. And I can’t help but wonder how many other young lives are effectively over due to poor choices they’ve made? It’s not right! We should be teaching our youth how to make positive and creative choices rather than negative and destructive choices. We should be teaching our youth to love and have compassion and understanding instead of teaching them how to hate and especially over something as small as the color of someone’s else’s skin. I can’t help but wonder how the whole situation that day last week in the AME Church might have turned out had Roof listened closely to the Pastor leading the Prayer Meeting. I can’t help but wonder had he listened if he might not have had a change of heart and never carried out his evil hate-born act. And if he had listened the Pastor that day might he had found a new home? A new way of life? And how might that have changed everything. Miracles happen when we make the conscious choice to let go of our hate BUT such miracles don’t come falling out of the sky. Miracles only happen when WE allow them to happen and we do that by making DIFFERENT and CONSCIOUS CHOICES. Sadly, this is not the road Dylann Roof chose that day in that prayer meeting. But I can’t help but wonder if he had how very different things might have turned out for not just Dylann but everyone in the AME Church that day. My prayers continue to be with the families and congregation of Emanuel AME Church and for all people who have lost loved ones in similar tragedies. If nothing else I hope you realize how fragile, how fleeting, life really is and that is why would should value human life. Not only our own lives but the lives of ALL PEOPLE. And how might our society change drastically if we made that conscious realization and choice? What miracles would we see in America and the world then? Again, I can only wonder but, still, “I have a Dream…..” and I’m not alone because many of us have that Dream. The SAME DREAM that was taught by Dr Martin Luther King Jr NOT so very long ago. Dr King began his address by pointing to statements made by an organization of clergy and laymen concerned about the war. He referenced one statement in particular which said, “A time comes when silence is betrayal.” Dr King said that time had come for us in relation to the war in Vietnam but it is just as applicable today in light of the present state of our nation. The silence of the masses of Americans has come to betrayal! No longer can we afford to be silent as we watch the Corporatist pillage our nation economically and in terms of basic human rights! We The People MUST break our silence and SPEAK OUT in an effort to end this wholesale destruction of our nation and our society for the sake of PROFIT for the FEW! Many of us wish to THINK we are “patriotic” but just how patriotic is it to be silent when you sit and watch the destruction of America and American society? That’s NOT patriotic at all. That’s BETRAYAL! And that is exactly what Dr King was talking about because that is what many Americans were doing in the days of the Vietnam War.